California (April 3rd, 2014)— VISSLA is pleased to welcome South African big-wave surfer Grant "Twiggy" Baker to our growing family of creators and innovators. 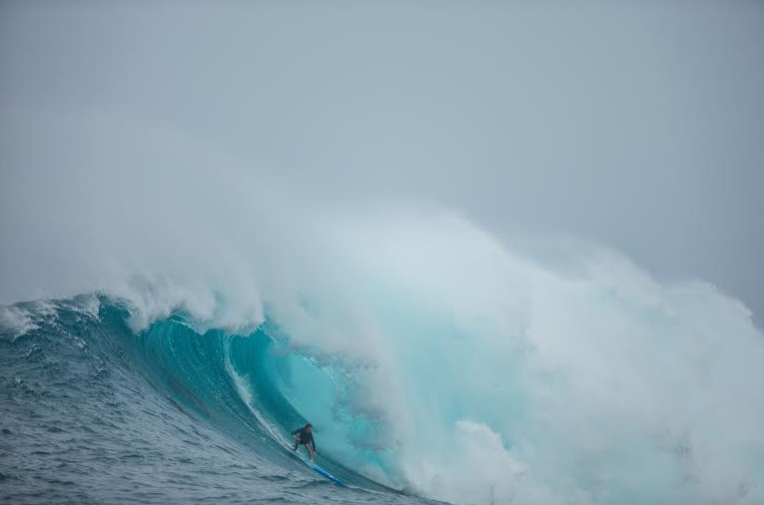 The newly crowned 2014 Big Wave World Tour champion has been successful all over the map this year. Literally, all over the map — Twiggy started off by enjoying consistent XXL surf at Dungeons, backed it up with some bombs in Northern California, struck a few swells on the North Shore, scored Europe as good as it gets during the Hercules swell and was a constant fixture at both Maverick's and Jaws. His hard work and relentless commitment paid off. Twiggy graced the cover of Surfing Magazine and starred in the magazine's digital short entitled Twig: A Calculated Madness. He was also featured in Hunting Maverick's, a documentary by Fox Sports. Competitively speaking, Twiggy won the BWWT events at Punta Galea and Maverick's, and made the final at Nelscott Reef. All that in the past year alone. On a personal level, Twiggy is one of the most friendly and humble people you'll ever meet. His dedication to pushing the limits of progressive big-wave surfing make him a perfect fit for VISSLA. Expect to see more from Twiggy soon, every swell, everywhere. About VISSLA: VISSLA is a modern surf apparel company. Representing creative freedom, a forward-thinking philosophy, and a generation of creators and innovators, we embrace the modern do-it-yourself attitude within surf culture, performance surfing, and craftsmanship. This is a surf-everything and ride-anything mentality.